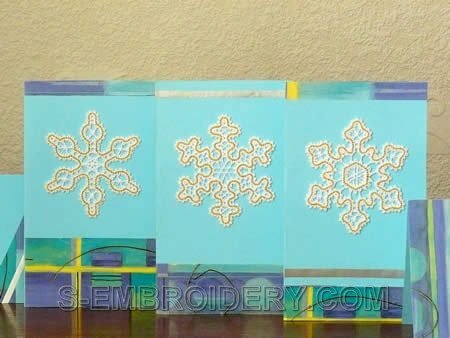 A set of 5 free standing Battenburg lace snowflake machine embroidery designs. 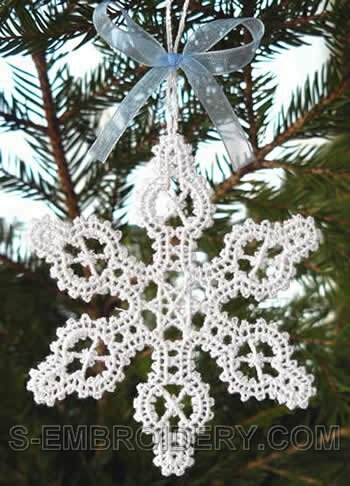 The size of the snowflakes is around 3 x 3.3 inches (75-80 x 85 mm) and the size in the hoop of the snowflakes with a loop is around 3.9 x 3.9 inches (99 x 99 mm). All designs will fit in 4x4 hoops. 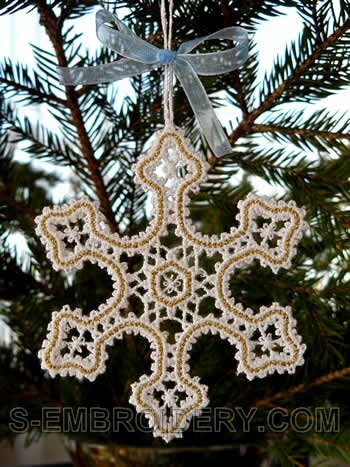 Each lace embroidery is available in 2 versions - one is suitable for decorating your custom Christmas greeting cards with Battenburg lace ornaments and the other has a loop for hanging on the Christmas tree. 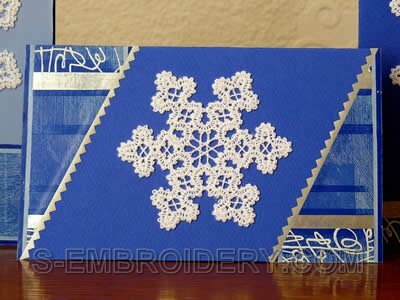 The loop is an integral part of the design and is stitched out with it, so you will not need to spend time to prepare it separately. 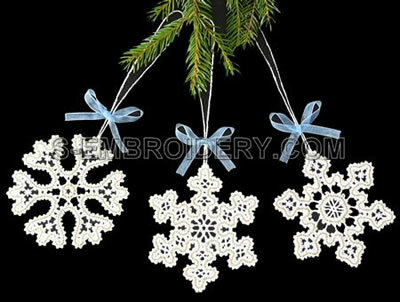 Each of these versions comes in 1 and 2 colors. 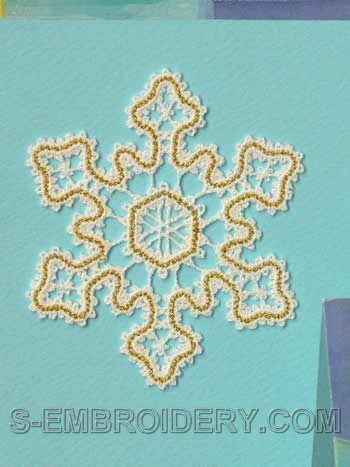 So, the set includes 20 machine embroidery files. 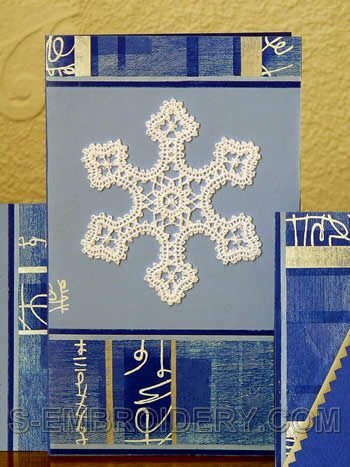 PDF files with design information and instructions for creating the Christmas greeting cards shown on our web site are included as well.